Credit: Photograph is courtesy of Aaron Takeo Ninokawa of UC Davis. Washington, DC– Ocean acidification will severely impair coral reef growth before the end of the century if carbon dioxide emissions continue unchecked, according to new research on Australia's Great Barrier Reef led by Carnegie's Ken Caldeira and the California Academy of Sciences' Rebecca Albright. In that work, they made a coral reef community's seawater chemistry more alkaline–essentially giving the reef an antacid–and demonstrated that the coral's ability to construct its architecture was improved under these conditions. 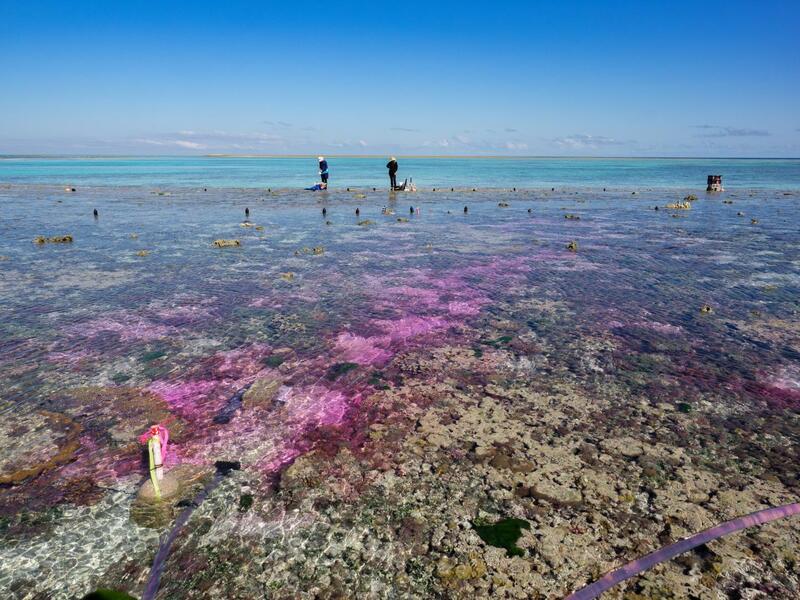 It was the first time that seawater chemistry was experimentally manipulated in a natural coral reef environment. "Last time, we made the seawater less acidic, like it was 100 years ago, and this time, we added carbon dioxide to the water to make it more acidic, like it could be 100 years from now," Caldeira explained. "Our findings provide strong evidence that ocean acidification caused by carbon dioxide emissions will severely slow coral reef growth in the future unless we make steep and rapid reductions in greenhouse gas emissions," said first author Albright. They say this approach is crucial to understanding the full scope and complexity of ocean acidification's impact, as well as to predicting how acidification will affect the coastal communities that depend on these ecosystems. "Coral reefs offer economic opportunities to their surrounding communities from fishing and tourism," Caldeira said. "But for me the reef is a beautiful and diverse outpouring of life that we are harming with our carbon dioxide emissions. For the denizens of the reef, there's not a moment to lose in building an energy system that doesn't dump its waste into the sky or sea." Other members of the research team were: Carnegie's Yui Takeshita, David Koweek, and Yana Nebuchina; Aaron Ninokawa and Jordan Young of University of California Davis; Kennedy Wolfe of the University of Sydney; and Tanya Rivlin of The Hebrew University of Jerusalem.